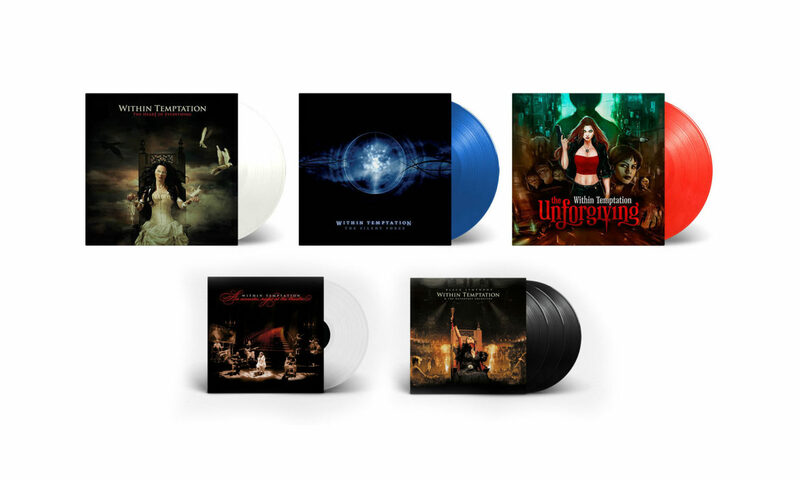 In 2018, we wrote about Sony Music Germany and Sony Poland were about to release some well-known Within Temptation records on vinyl LP, from which most of them for the first time ever. 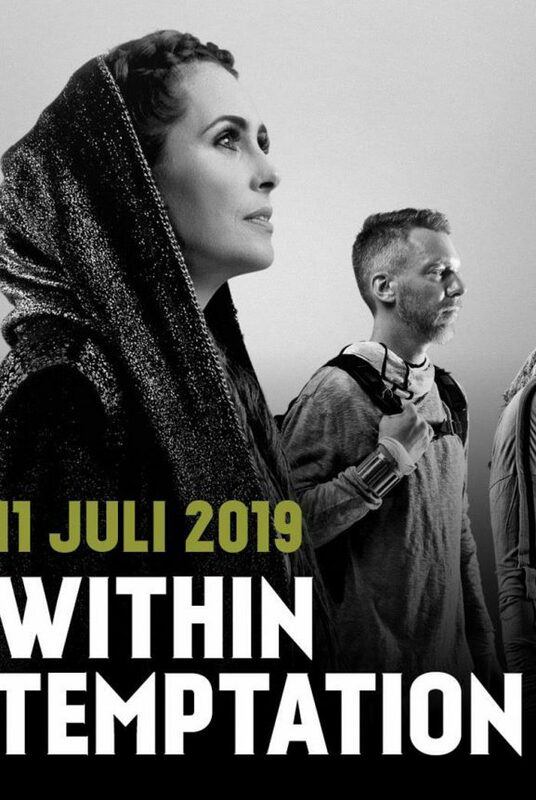 In 2019, Within Temptation will release their full discography on Vinyl LP! It is pretty common these days, artists releasing their music on Vinyl LP, this kind of media made a strong comeback. Some artists even re-issue their album on limited and coloured discs. 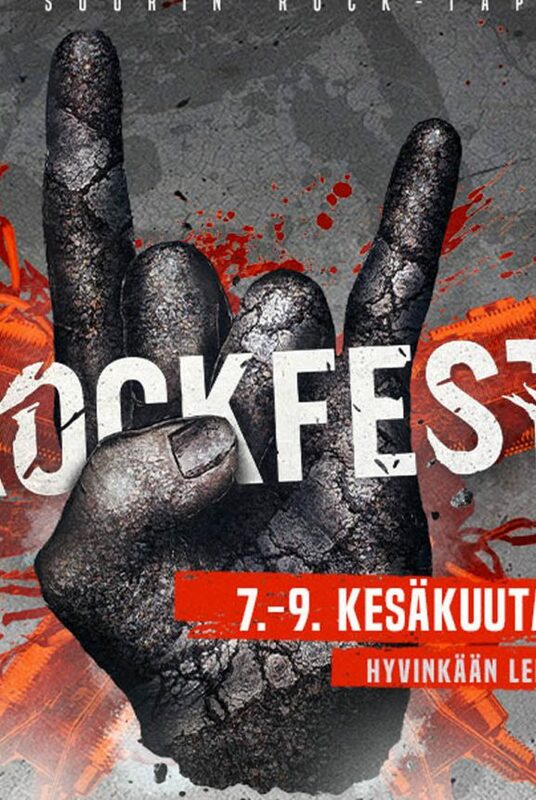 So did Within Temptation. For the very first time, they released their debut EP “The Dance” and CD “Enter” via own label. Official artwork of the vinyl records. Click to enlarge. 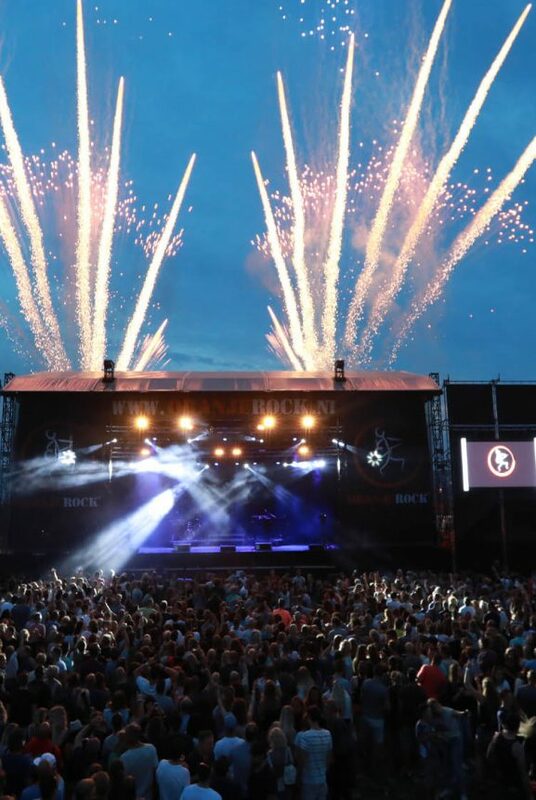 In February 2018, Sony Music Germany (or Sony Catalog GmbH) announced the release of three vinyl records. “The Silent Force” was about to be released for the first time on blue coloured LP, “The Heart of Everything” for the first time on marble white LP and “The Unforgiving” as a re-issue this time on red transparent vinyl. Not even a month later, mid-March of 2018, Sony Music Germany canceled the records and they disappeared from the web. Only a day before the cancelation, a green marbled vinyl edition of “Mother Earth” appeared on the web, which was also canceled the day after. 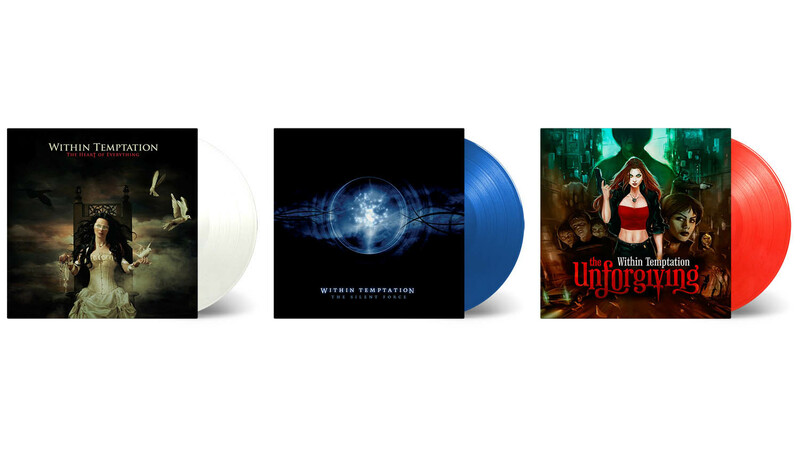 Mock-up of coloured vinyl records of Within Temptation. Click to enlarge. The same year, a few months later, Sony Music Poland released some exciting news. They claimed the premier of “Black Symphony” on 3LP, the re-issue of “An Acoustic Night at the Theatre” on clear vinyl and the premier of “The Silent Force Tour” on CD. They were scheduled for release December 2018 and things looked promising. However, half-January of 2019, Sony Music Poland also canceled these releases. 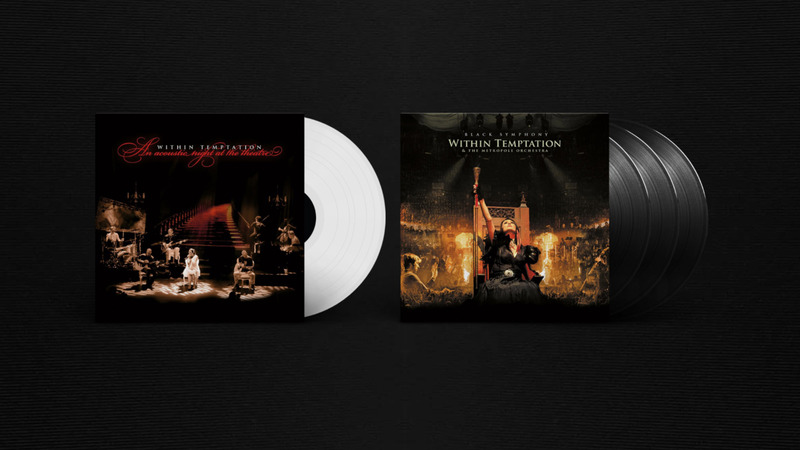 Mock-up of vinyl records of Within Temptation. Click to enlarge. 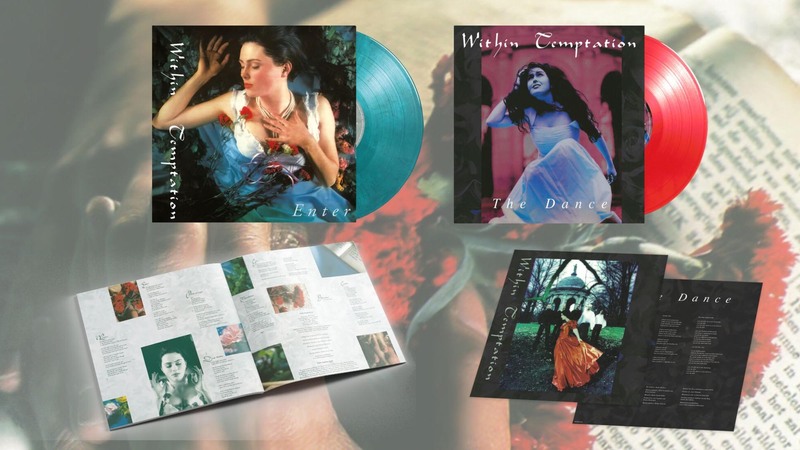 Not long after the cancelation of the releases, end-August 2018, Within Temptation announced the re-issue of their EP “The Dance” and CD “Enter” on vinyl for the first time and the duo-CD as re-issue. It took only a few months later before they announced the – previously via Sony Music Germany announced – green marble vinyl LP of the album “Mother Earth“. 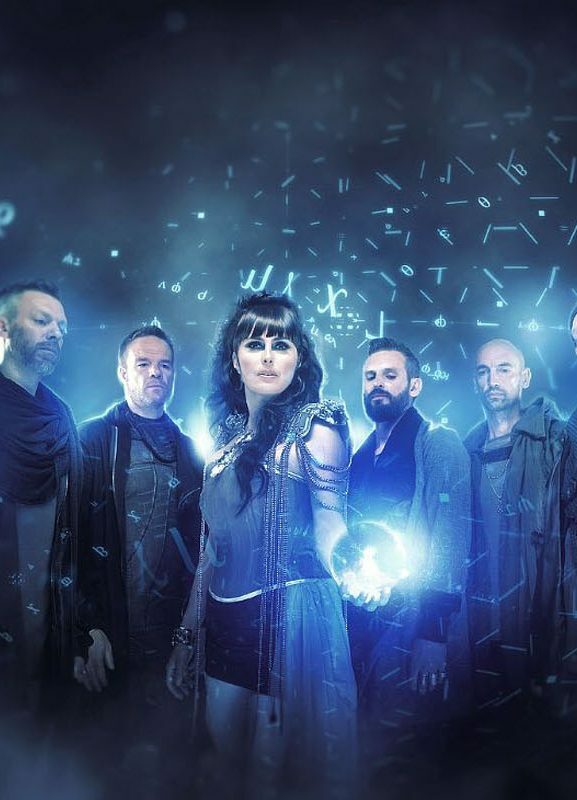 In a Polish interview with Metal Hammer (Dec 2018), singer Sharon den Adel announced they’re working on something very exciting, the release of their discography on vinyl LP! Note: Some third party sellers offer the vinyl records for pre-order already. We recommend to not pre-order any of these items until further notice. These are the long-lost pre-orders from Sony Germany and Sony Poland. If you have pre-ordered these records, contact the seller to get a refund. Big thanks to Pola Pacholczyk‎ for the interview translation.